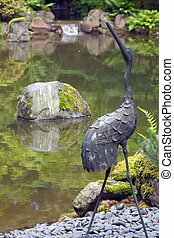 Crane statue near the main pond at the Japanese Gardens in Portland, Oregon. 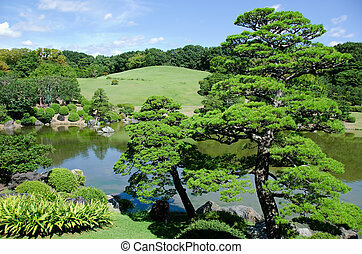 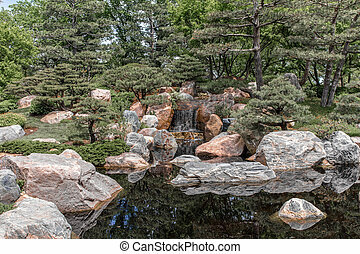 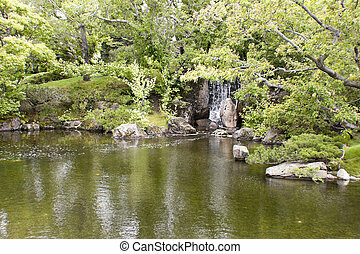 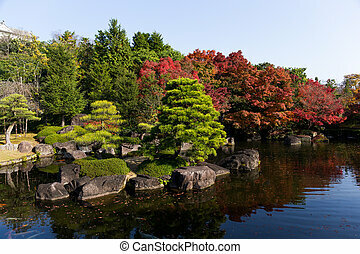 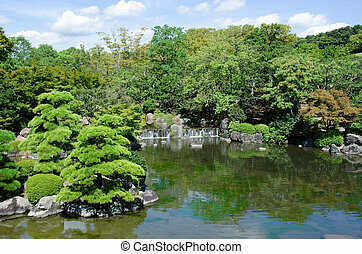 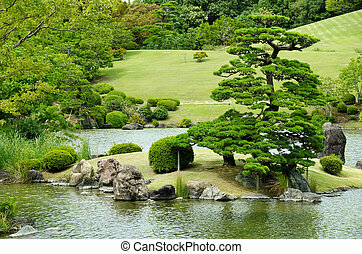 Beautiful and peaceful Japanese water garden. 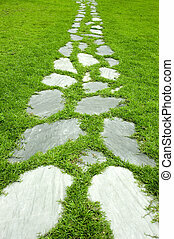 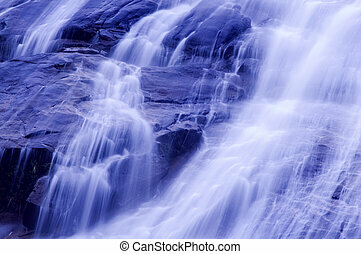 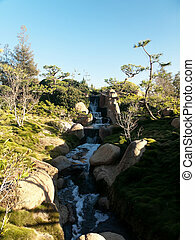 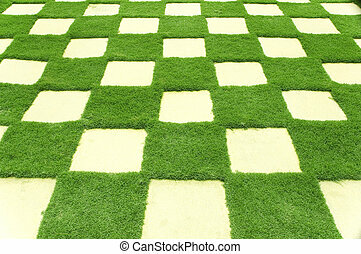 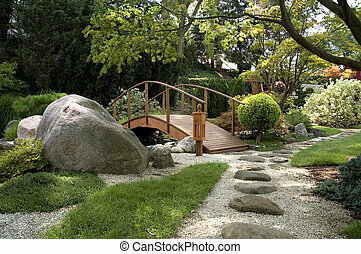 Complete with a bridge, stone paths and several small waterfalls. 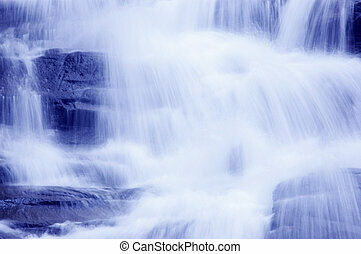 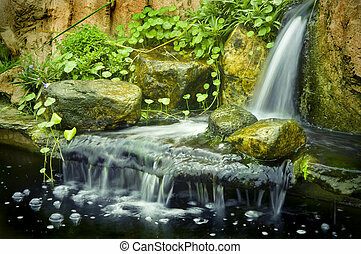 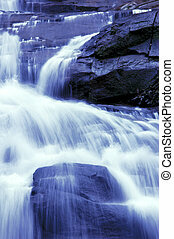 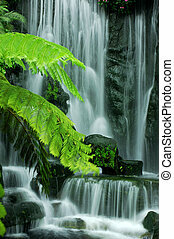 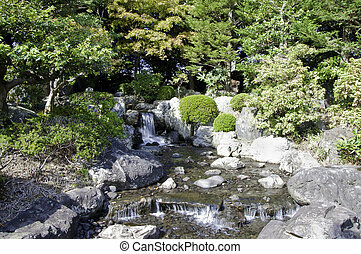 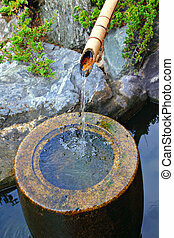 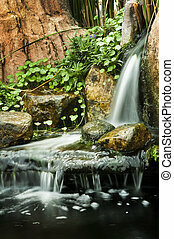 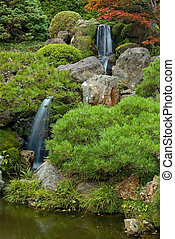 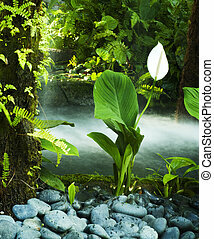 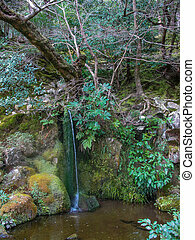 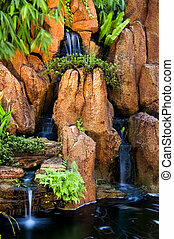 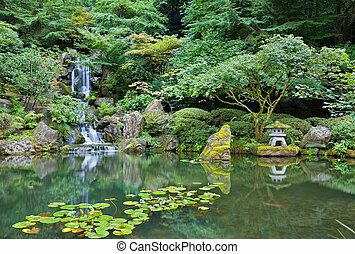 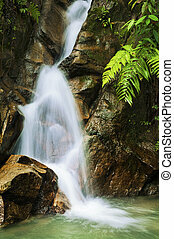 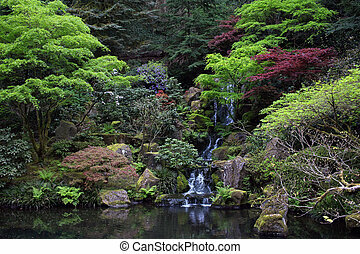 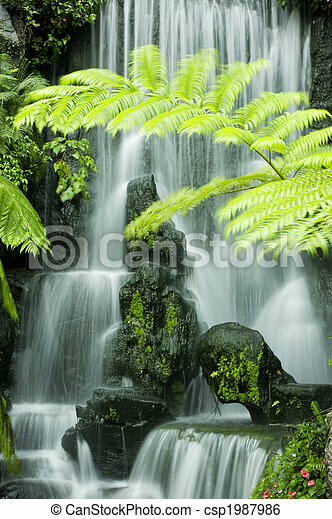 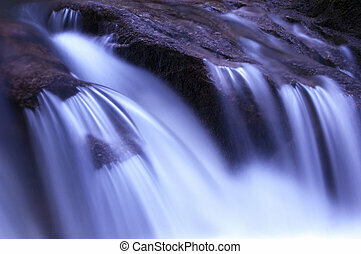 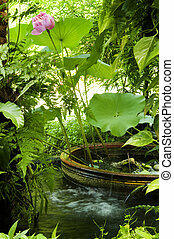 Secret garden, flowing water, lotus flower and plants.